The GDP numbers out of the United States disappointed by missing the 2014 fourth quarter forecast. In the quarter the U.S. economy expanded at a rate of 2.6 percent, this is lower than the anticipated 3.0 percent. Taken out of context it looks like the U.S. economy is struggling and some the immediate reaction did not take into account the global financial markets. Growth forecasts have been cut around the world so it should not be a total surprise that after an impressive Q3 the U.S. would slow down. Corporate investment was low and with the price of oil at current levels will discourage Energy companies as some are already closing unprofitable wells and new projects are on pause. The federal reserve can continue to be patient as it is safe to be bullish about the U.S. Economy relative to the rest of the world. Federal Reserve Bank of St. Louis President James Bullard was comfortable with the current rate of growth of the U.S. economy and continues to advocate for higher rates sooner rather than later. He is a non-voting member and a known hawk that is not concerned with current inflation levels. He says a small rate rise soon could give the Fed more flexibility. Growth numbers, even though a slight disappointment, gives the Fed the luxury of patience regarding higher interest rates. Other central banks have little room to play with, as growth is sluggish most everywhere else, leading many toward easing policy further. The market reaction to the U.S. GDP figures was subdued. Earlier German Retail Sales posted a weak gain of 0.2%, marking a 3-month low. The estimate stood at 0.4%. Eurozone inflation remains anemic, as the Eurozone CPI Estimate came in at 0.6%, its second straight decline. In Spain, CPI followed suit with a decline of 1.4%, although there was good news from GDP, which improved to 0.7% in Q4. The negative data pushed the EUR higher as confidence in the European Central Bank’s quantitative easing program suffered as deflation is advancing while the QE program has been announced, but not launched. The EUR/USD depreciated as the U.S. fourth quarter GDP numbers validated the fact that while lower than expected the American economy is an oasis amongst in an macroeconomic reality filled with unceirtanty. Central banks continue to be the main drivers of volatility in the forex market. Surprise interventions defined the first month of 2015 and two central banks scheduled next week investors need to prepare ahead of the Reserve Bank of Australia Rate Statement on Monday and the Bank of England MPC Rate Statement on Thursday. There market is not anticipating changes to interest rates, but verbal intervention could play a part from both central banks and adding the Reserve Bank of New Zealand to the list as Governor Graeme Wheeler is scheduled to speak on Tuesday. Global growth concerns will be in focus when HSBC releases its Final Manufacturing PMI estimate for China. Falling below the 50.0 mark last month and expected to continue below the expansion line traders will be watching this release and its impact on commodity prices. The week will close with U.S. Non-farm Payroll Report on Friday. Given the state of the global economy and a weaker fourth quarter GDP figure the USD would be looking for continued improvement of the labor market. The Fed has stressed the importance of employment before it can give the go ahead to higher rates. 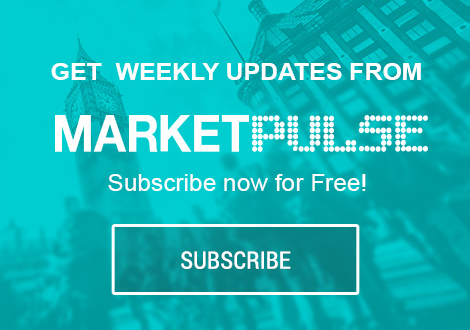 Although the conversation has shifted to inflation given the strong state of U.S. jobs, the NFP could still spark a USD rally if the final figure beats expectations of above 231,000 added jobs. The U.S. has not had a below 200,000 NFP since April of 2014 which is another number to consider if the data comes in under expectations but still shows sustained growth.